This is one of several large monuments at Lakewood Cemetery. It resembles another statue, for the Pillsbury family(see link below), but it's a different one. 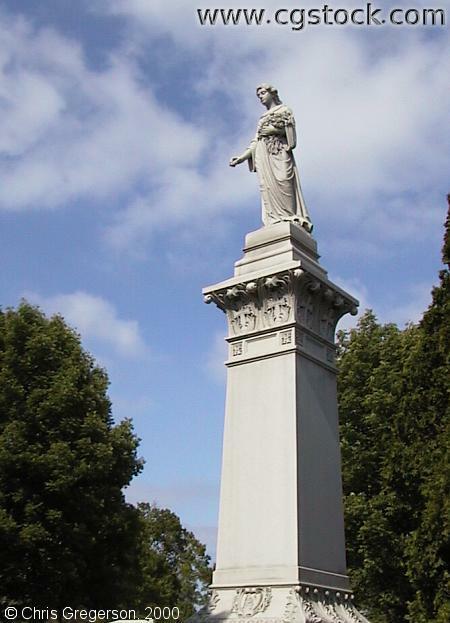 This statue is east of the center of the cemetery.